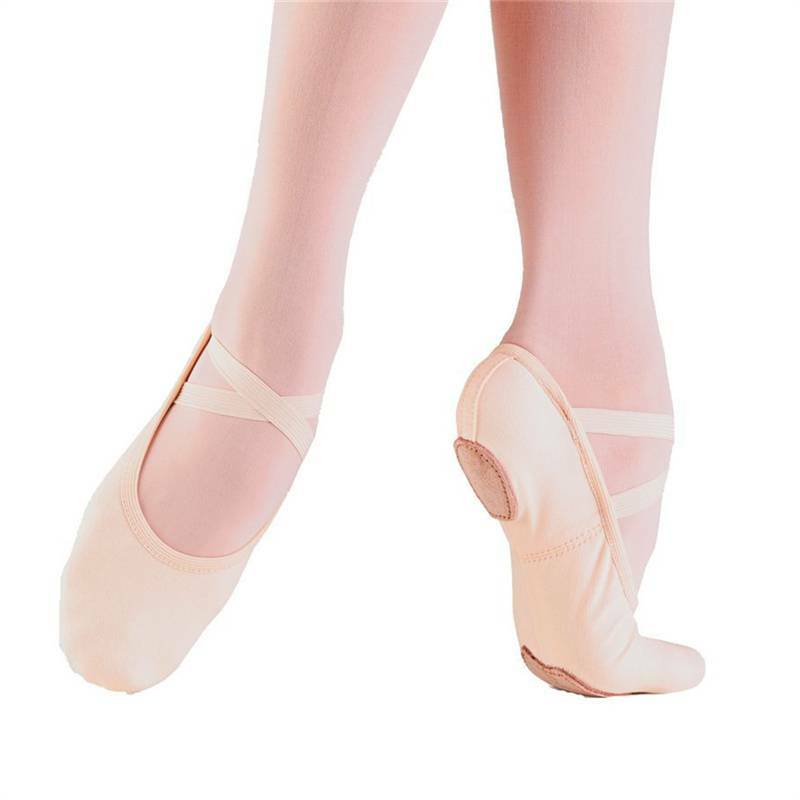 So Danca's Adult Canvas Split Sole Ballet Shoe is a beautiful fully elasticized canvas split sole shoe. 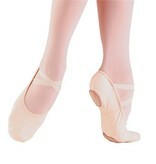 It has an elastic binding that replaces both drawstring and casing for streamlining and emphasis on your arch. Amazing adherence to the foot, contouring the arch and toes perfectly. Ladies for comfort fit order half to one size down from street shoe size. For a tighter fit order 1.5-2 sizes down from street shoe size.